After rejoining last week (weigh in 36) and discovering I’d gained 9lbs on my detour from dieting I was delighted and a bit shocked to see a 3lbs loss this week!!! I did have 2 family occasions at the weekend but ate well (I did most of the cooking) and while I did drink far too much wine, I got back on track immediately on Monday and it paid off! Celebratory meal tonight was taco fries for a change!! And – how to test your resistance!!! I was asked to make a cake for a christening on Saturday and spent the morning preparing the base for a chocolate biscuit /maltessers explosion cake – and it was torture on a weigh in day to resist the gooey goodness! Weigh in day today and down 2.5lbs! 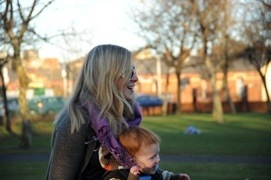 A good start to the year, and delighted after being up 4lbs last year! 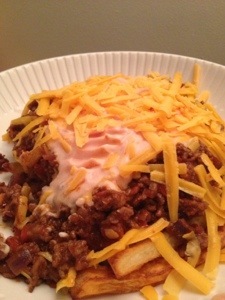 Since the original post with my Taco Fries recipe (original post here) I’ve made it a couple of times, including this evening, and I’ve made a few changes. 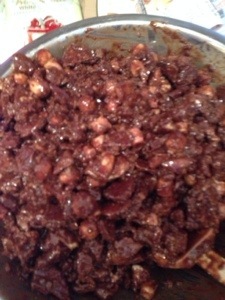 Firstly, I’ve left out the flour, saving 4 syns per recipe, it adds nothing! I’ve also added a dash of Worcestershire sauce and a beef stock cube crumbled into the sauce. Tastes even better!!! I’ve also been using my Tefal Actifryer (now that its fixed, yay!) to make the chips, less effort and tastes great too! 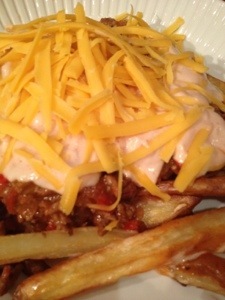 The challenge – to re-create one of my favourite “chipper” dishes – Taco Fries, or Chilli and Cheese Fries. The last time we ordered a delivery, I couldn’t eat it past a few forkfuls as it was swimming in oil – yuck!! I did lots of googling and came up with the following recipe based on a mix of recipes and I’ve calculated this recipe based on Extra Easy. I had bought a pack of “Old El Paso” taco mix, when I looked it up it was 5 syns for the pack, so you could add 1.5 syn per serving and use it for convenience – i’ve never used it so can’t comment on taste! Using low fat ingredients and the Cheddar as Healthy A option, it works out at 2.5 syns (ex.light mayo and ketchup, flour) add 5 if you are counting the cheese as syns. We just ate this and it was FAB- i’l never order a greasy version again, the mix is hot tho so amend the chilli amounts to suit your taste.